STEM Career Pipeline - Great site that features resource to learn all about STEM careers, education requirements and jobs that you may be interested in. Also features a simple 14-question self assessment to find out which careers match your interests. Career Cornerstone Center for STEM Career Exploration - An online resource center for those exploring career paths in science, technology, engineering, mathematics, and medicine. The extensive site explores over 185 degree fields and offers detailed education requirements, salary and employment data, pre-college ideas, and career planning resources. Louisiana STEM Report Card - 2011 ASTRA, The Alliance for Science & Technology Research in America profiles each state's STEM education and talent development outlook and progress. Louisiana Workforce Commission - Career projections up until 2020. Innovate +Educate - National nonprofit organization that provides a bridge between industry and education with states to advance, accelerate and transform STEM education. Supports STEMConnector, a one-stop-shopfor STEM Eduction news. Change the Equation (CTEq) – Change the Equation pledges to create widespread literacy in science, technology, engineering and math (STEM) as an investment in our nation that empowers us all. STEMx - The STEMx™ network is a multi-state (19) national STEM network developed for states, by states. It is a great platform to share, analyze and disseminate quality STEM education tools to transform education, expand the number of STEM teachers, increase student achievement in STEM and grow tomorrow’s innovators. Association for Career Technical Education - A national career technical education association dedicated to the advancement of education that prepares youth and adults for careers. Business and Industry STEM Education Coalition (BISEC) – A coalition of industries dedicated to aligning their efforts to improve STEM education to develop our future workforce in order to build our nation’s economic competitiveness, sustain national security, and develop future jobs and employment specialties that engage a dynamic STEM workforce. Girls RISEnet - Provides ongoing gender equity information, as well as services, program material and tools to broaden informal science opportunities and outreach for girls. High School Alliance – Operated by the High School Alliance, this website provides information on current science, technology, engineering, and math (STEM) education initiatives, programs, curricula, and research. National Association of State Directors of Career Technical Education – A national organization representing the executives in charge of career technical education within each state. National Center for Women in Technology - NCWIT helps organizations recruit, retain, and advance women from K-12 and higher education through industry and entrepreneurial careers by providing community, evidence, and action. La-WIT is a Louisiana council. National Council of Teachers of Mathematics – A national association supporting teachers to ensure equitable mathematics learning of the highest quality for all students through vision, leadership, professional development and research. National Math and Science Initiative – NMSI is a public-private partnership that provides the ideas, inspiration, and resources to help America regain its place of prominence in math and science education. National Science Teachers Association – A national association of science teachers committed to promoting excellence and innovation in science teaching and learning for all. 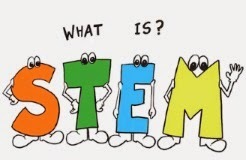 STEMed Caucus – A coalition of members of the House of Representatives dedicated to disseminating policy initiatives currently under consideration by Congress and talking points in support of STEM education. STEM Education Coalition – Chaired by the National Science Teachers Association, this coalition of education associations, businesses, and philanthropic foundations seeks to educate federal policymakers and key opinion leaders on the critical role that STEM education plays in U.S. competitiveness and our nation’s future economic prosperity. Tapping America’s Potential (TAP2015) – A coalition of business organizations devoted to increasing the number of STEM degrees conferred to American students by 2015. Teaching Institute for Excellence in STEM (TIES) - Organization that has developed exemplary STEM School design, STEM curriculum, and STEM instructional support to schools, districts, states and the federal government. Triangle Coalition for Science and Technology Education – An advocacy organization that focuses on bringing together business, government, and education for the improvement of our nation’s STEM education. The Coalition has been mobilizing invested partners for over 25 years and has over 100 member organizations nationwide. Afterschool Alliance: Making the Case for Afterschool STEM - The Afterschool Alliance is committed to advancing afterschool STEM education opportunities for young people across the country. Our work is focused around field-building; research; and advocacy, policy and communications. National Institute on Out of School Time: STEM - Spring 2013 issue of NIOST that examines STEM models for OST and program evaluation. Coalition for Science After School - Coalition of organizations that support coordinate and mobilize community stakeholders to strengthen and expand opportunities that engage young people in science after school. National Center on Time and Learning: STEM - schools that have broken from the bounds of the conventional calendar and schedule offer promising alternatives to the status quo. NCTL has documented the practices of high-performing, high-poverty schools that have expanded time to raise achievement, enrich education, and empower teachers. Defining Youth Outcomes for Afterschool STEM - Noyce Foundation - Report on 10-month study that asked experienced afterschool providers and supporters to identify outcomes, indicators, and sub-indicators that provide a framework to map afterschool program contributions to larger STEM education goals.